If you’ve ever run out of your favorite exfoliator, you’ve probably turned to baking soda! 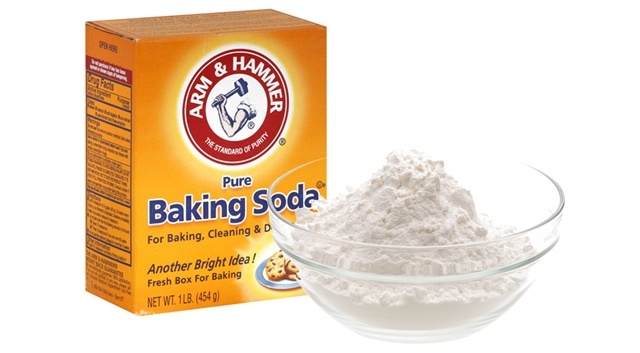 Baking soda is an all natural cleanser that has hundreds of uses, including beauty! Because baking soda is grainy, it’s often used as an exfoliator or cleanser. Today we’ll show you 4 baking soda beauty uses that you’ll fall in love with you! Why spend your hard earned money on expensive skin cleansers when baking soda does an even better job for just pennies! These 4 baking soda beauty uses will give you beautiful, clear skin in no time. Because baking soda contains sodium bicarbonate, it’s an AMAZING cleanser that can do a number of things such as get rid of dark spots and/or scars, remove blackheads, and much more. Below we’ll show you 4 different baking soda beauty uses, so you can choose which one suits you best or try them all! If you ever run out of face wash, don’t worry! Baking soda does an even better job and it’s so much cheaper! Just rub some baking soda and water into your hands and wash away! Mix one teaspoon baking soda with one teaspoon honey and half a teaspoon of cinnamon. The combination of these three ingredients attack acne right on the spot, gets rid of the infection, and prevents any future acne. For an amazing and simple face scrub, mix baking soda with oats and a few tablespoons of tea. Play around with the ratios to get a face scrub like consistency. Rub onto your face to get rid of dead skin cells once or twice a week. If you have a lot of dark spots, sun spots, or scars, this skin lightening recipes works beautifully. Mix baking soda with yogurt (half and half) and a few drops of freshly squeezed lemon juice. Apply directly to affected areas and leave on for 15-20 minutes.